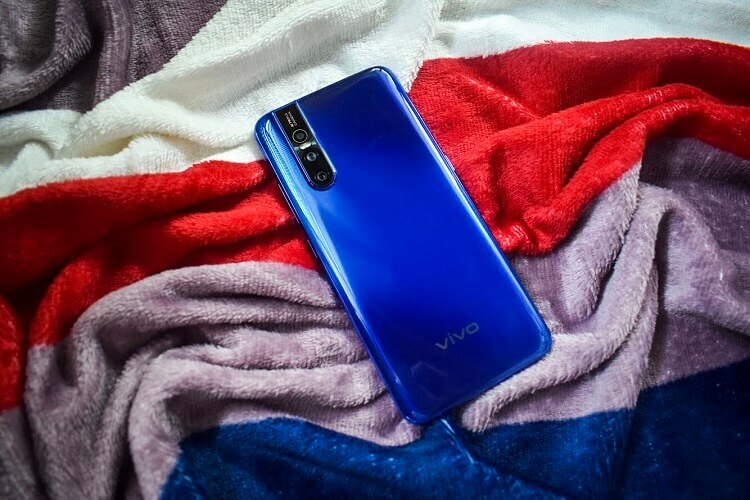 Vivo has elevated its offerings – literally and figuratively – with the launch of its newest mid-range handset, the V15 Pro. 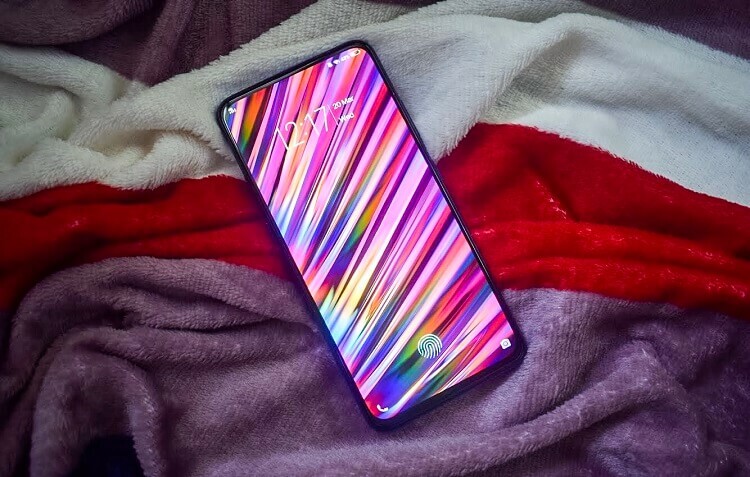 Impressively, the Chinese mobile maker was able to load the device with flagship-grade features that will surely level up your smartphone experience. Aside from the unit, the box comes with a stylish and durable protective case, 18W fast charging adapter, microUSB 2.0 connector, sim card ejector tool, and a user guide. Now, let’s talk about the smartphone itself! 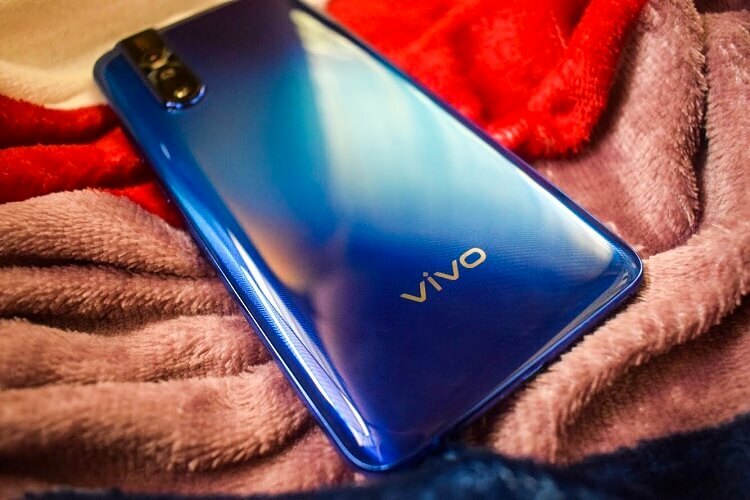 To begin with, we’d like to say that Vivo has bounced back to redeem itself as we’re not completely swayed by the V11 when we reviewed it. Of course, it's a good smartphone, but we just felt like Vivo could still give more. One thing that the V11 failed to impress us with was its in-display fingerprint scanner. As one of its key selling points, we noticed that it wasn’t as fast and responsive as promised. But overall, it’s worth considering at that time. You can check our review here. Now, Vivo has brought its flagship-grade features to its mid-range phone to battle out its rivals. And to be honest, it never fails to amaze us. The will surely give its competitors a hard time to counter-attack them. Vivo dressed the V15 Pro with a trendy design, but compared with other handsets, the device is simpler – and that fact makes the phone more striking. Its body can easily attract fingerprint smudges, so, it’s a good thing that it comes with a free protective case. Meanwhile, one-hand usage isn’t advisable because of its heavy physique. In fact, it weighs 185 grams, which is 29 grams heavier than its predecessor. Moving on to its display, Vivo ditches out its halo notch. Instead, it is equipped with a pop-up front camera to deliver a real all-screen display. Hence, users can enjoy a huge 6.39-inch FHD+ Super AMOLED panel with 1080p resolution and 91.64% screen-to-body ratio. We enjoyed watching videos, and playing games using the device. It supports heavy graphics, too. On the other hand, we don't like its brightness when we used it outdoor. Meanwhile, its in-display fingerprint scanner received two thumbs up from us! Compared to V11’s sensor, the V15 Pro has faster and more responsive scanner. It can unlock your device smoothly, too. 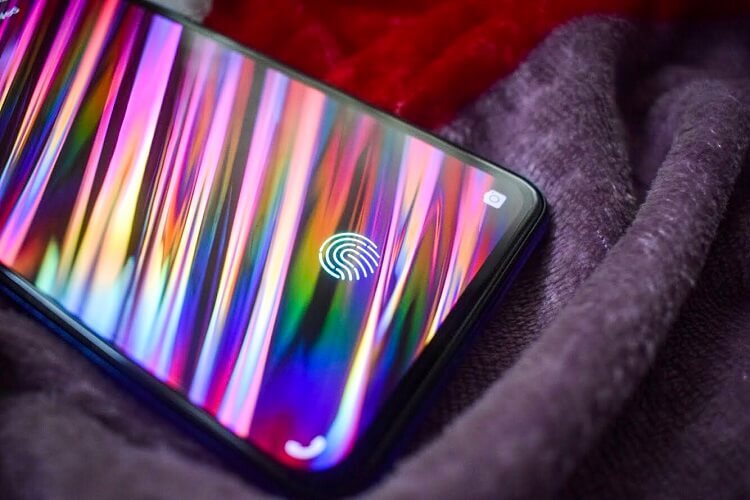 It’s even faster than traditional fingerprint sensor found on other devices, and so far, we never had a problem dealing with it, and on its facial recognition. The V15 Pro runs on Android 9.0 Pie with FunTouch OS 9 skin on top of it. Just like other Vivo devices, it comes with colorful and lively icons. 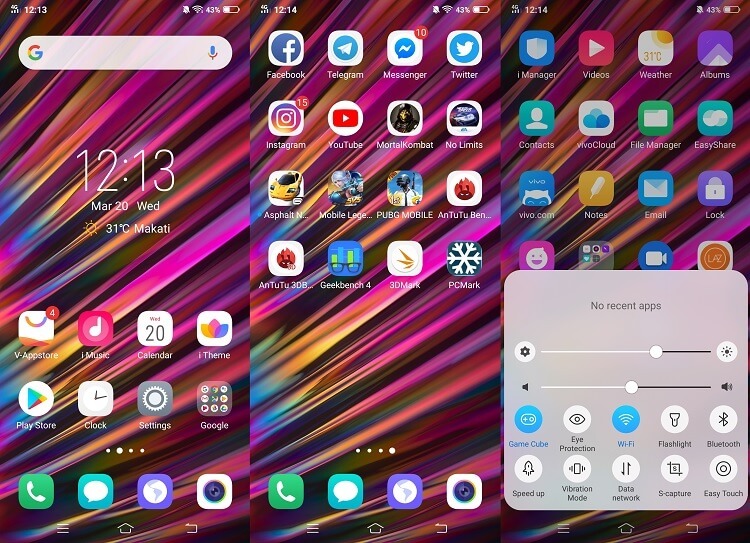 Similar to its predecessors, it has no app drawer, so, if you wish to organize your apps, you have to create an app folder on its multiple home screens. There are two options to navigate the device: Navigation Keys, or Navigation Gestures. We chose the former because we’re already used to it, while the latter is so confusing. 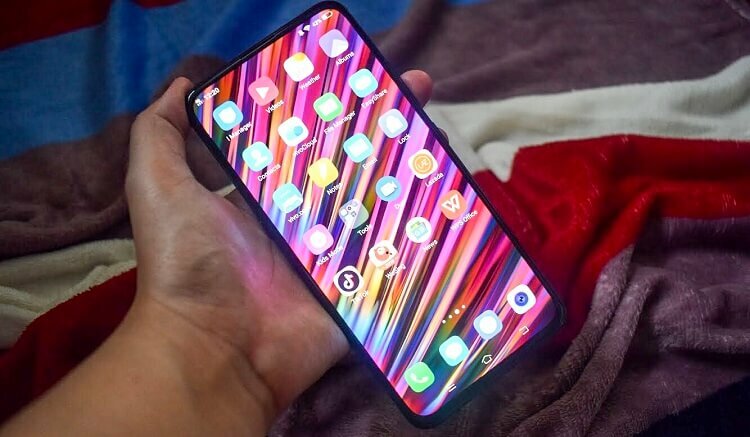 The phone comes with pre-installed apps including Google native apps, Vivo apps, WPS office, Lazada, WeSing, and TikTok. 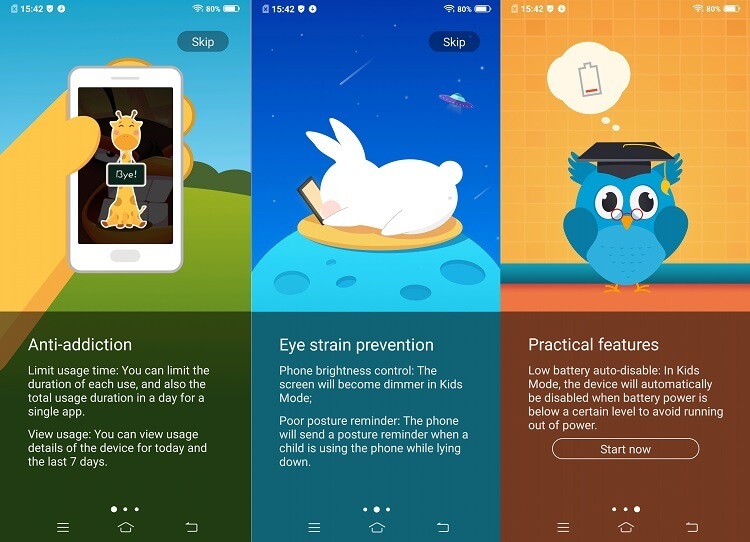 It has Kids Mode, as well, to limit usage time, prevent eye strain, and just have practical features that are suitable for kids. With 128GB onboard storage, these apps will eat almost 13GB of ROM, which will leave users with just 115GB available storage. 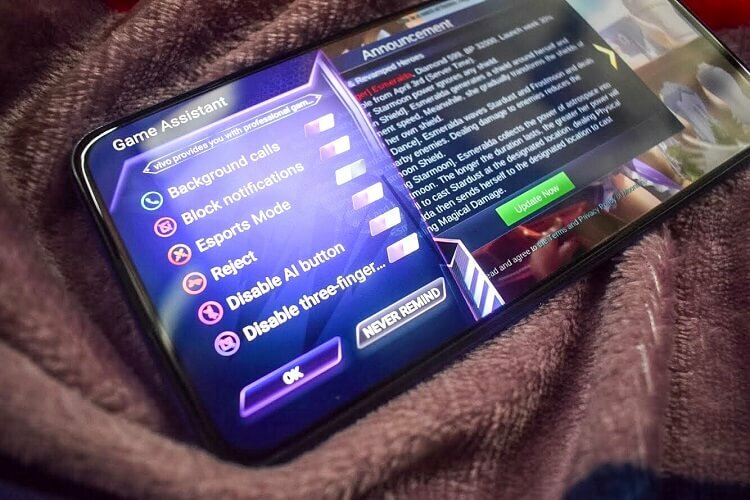 Good thing, you can uninstall these pre-installed apps if you want to. 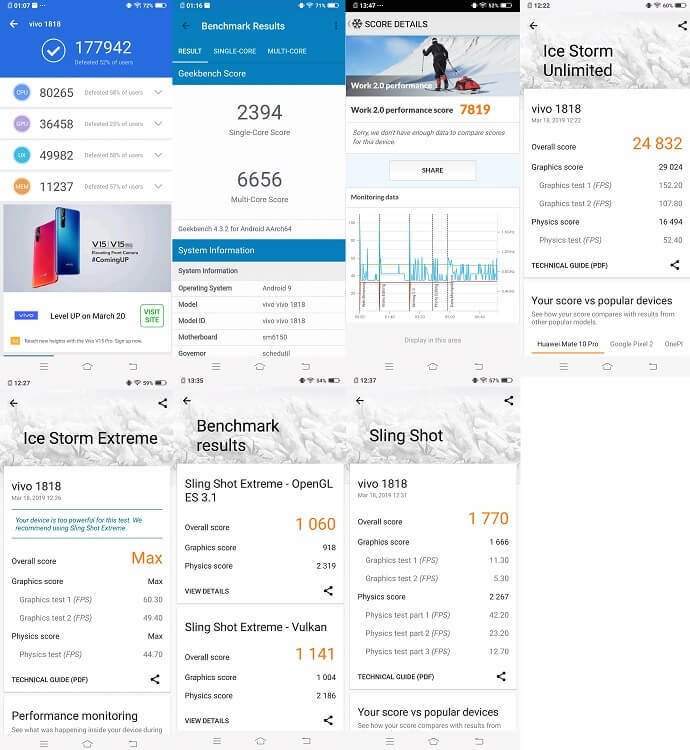 Under the hood, Vivo geared the V15 Pro with Snapdragon 675 octa-core processor, which is also found on the Redmi Note 7 Pro and Meizu Note 9. In India, the device was launched with just 6GB of RAM. However, in the Philippines, consumers will enjoy a massive 8GB of RAM paired with 128GB of expandable storage. We enjoyed playing games using the handset. It sports a special feature named Game Assistant to allow users enjoy their gaming experience. With this, your device will be optimized for best gaming performance. The device can support multitasking, as well. So far, it can run smoothly even when multiple apps are running simultaneously. Switching apps from one to another is easy without any indication of freezing, lags, or heating. 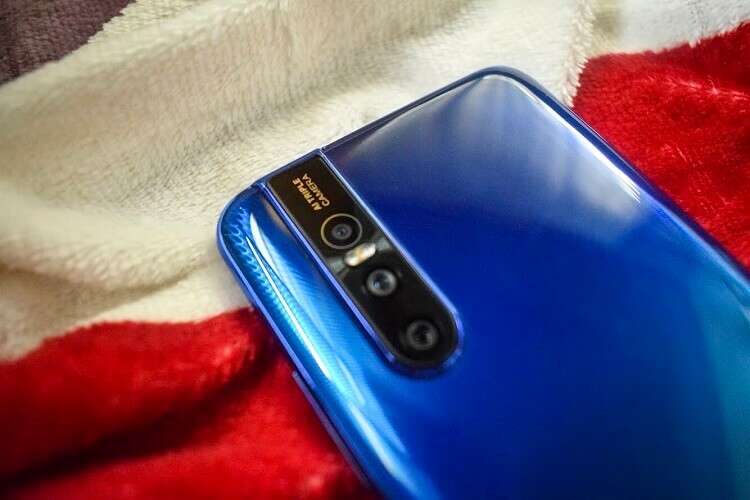 Still banking on its photography capabilities, the V15 Pro is armed with triple rear cameras composed of a 48-megapixel f/1.8 main sensor, an 8-megapixel f/2.2 ultra-wide lens, and a 5-megapixel f/2.4 depth sensor. 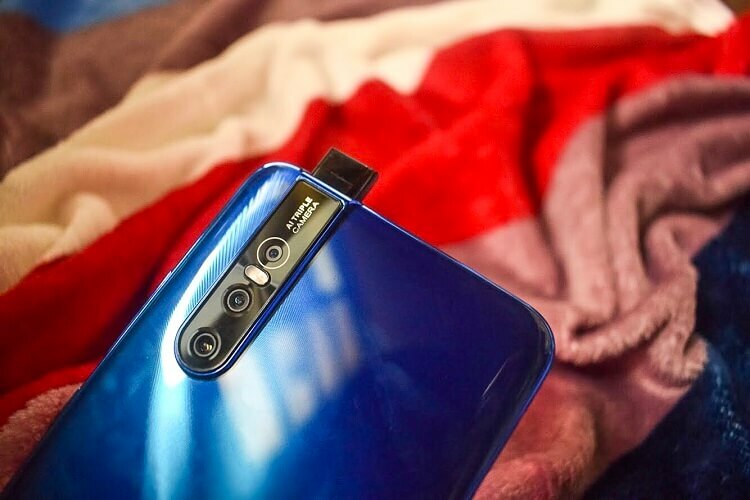 It is also geared with a jaw-dropping 32-megapixel pop-up selfie snapper that has AI capabilities to enhance your photos. It comes with various camera modes such as Doc, Professional, Panorama, Night, AI Beauty, Live Photo, HDR, Wide, and AR stickers. Users can also enhance their facial features by adjusting the buffing, skin tone, whitening, thin face, face reshaping, jaw, eye enlarging, eye span, thin nose, and mouth shape. The V15 Pro can capture great images with sharp colors and outstanding details. It can deliver impressive low light photos, too. However, noises became visible when taking selfie in places with dim lighting. 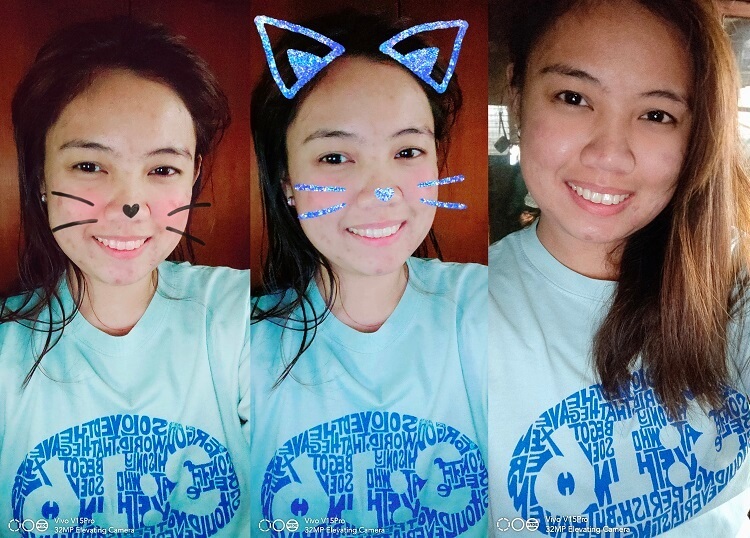 Speaking of selfie, we prefer to adjust our facial features manually because its AI beautification will sometimes overdo the enhancing. Of course, we don’t like that to happen as we prefer natural-looking photos. We'll post more photos on our in-depth review, so, stay tuned for that! The V5 Pro is a dual-SIM device that can support LTE connectivity. It also sports basic connectivity features including WiFi, Bluetooth 5.0, and GPS. All of these worked well, considering that we have good signal reception, too. Meanwhile, it only settles for just microUSB 2.0 port, while it still has a 3.5mm audio jack. Numbers might be deceiving. While we look forward to see more devices with at least 4,000mAh battery, Vivo juiced the V15 Pro with 3,700mAh stamina. But don’t be disappointed as it exceeded our expectations. Tapped as our main driver, the device can accompany us for more than 24 hours when we used it for basic communications, social media browsing, watching videos, and listening to music. We also like to note that we always leave our WiFi and LTE connection open. On the other hand, when we’re heavily using it for playing games, the handset can last for more than four hours. For some reasons, the PCMark Battery Life Test crashes every time we're trying to run it. We’ll update you once we get a result, though. Meanwhile, with dual-engine fast charging, it took us almost two hours to fully charge the device. 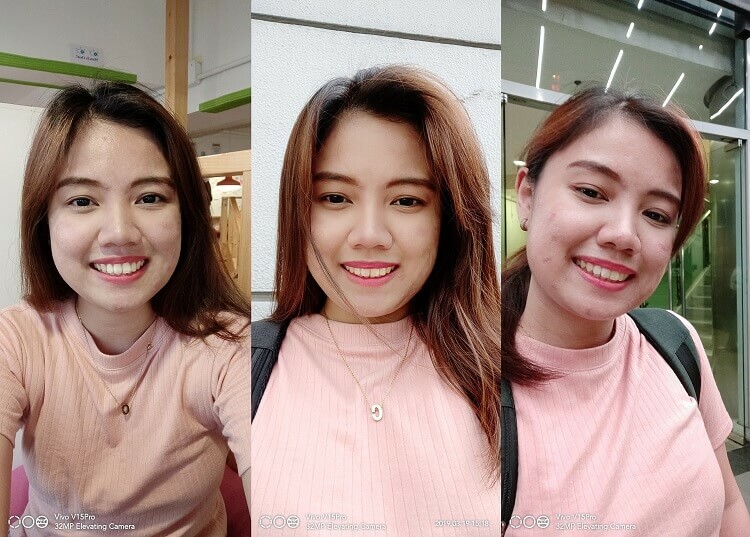 The Vivo V15 Pro is a game changer! Through its aggressive offerings, the device has successfully set the bar for the mid-range market. If you’re looking for a smartphone that can offer great overall performance, then, you can put the V15 Pro on your options. So far, the device is one of our favorite smartphones. Surely, it won’t let you down. As a premium mid-range handset, the V15 Pro is priced at Php23,999. Our team will spend more time with the V15 Pro to find out if our impressions were indeed correct.